It's a Chinese science fiction book that has gotten so popular there's now a Hollywood movie being made based on it. This will also be a fun break from all the economics and social science books I've read recently. 'Liu Cixin's "The Three Body Problem" made me fear aliens. 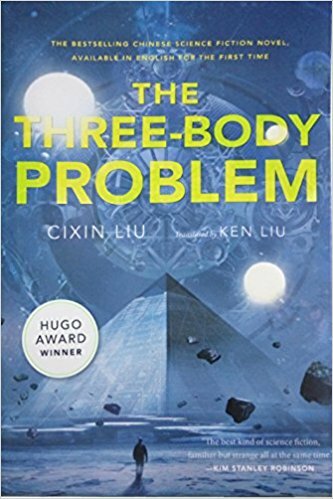 I just finished reading the Three Body Problem trilogy by Liu Cixin. Maybe my favorite sci-fi after Dune! Wow. Rare SF book that inspired me. Gives great perspective on thinking out-of-box and the importance of science.